Happy Thursday! 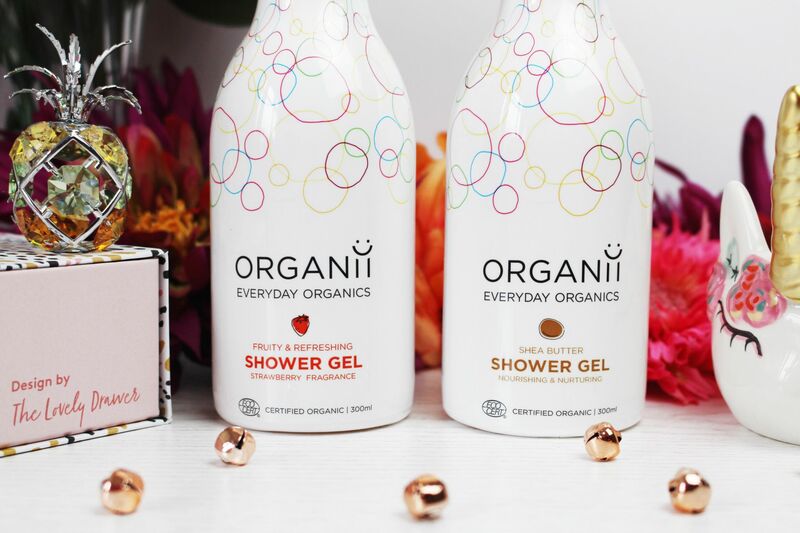 Today’s post is all about Organii Everyday Organics. But first…. Eeek, it’s almost Halloween!!! I may have popped on eBay last night and ordered some Halloween inspired/Autumnal props for my photos! I suddenly realised that I haven’t actually got any. I’ve also been having a look when I go in shops too, to see if I can find any. Please let me know in the comments, where you get your Autumnal/Halloween inspired props from? 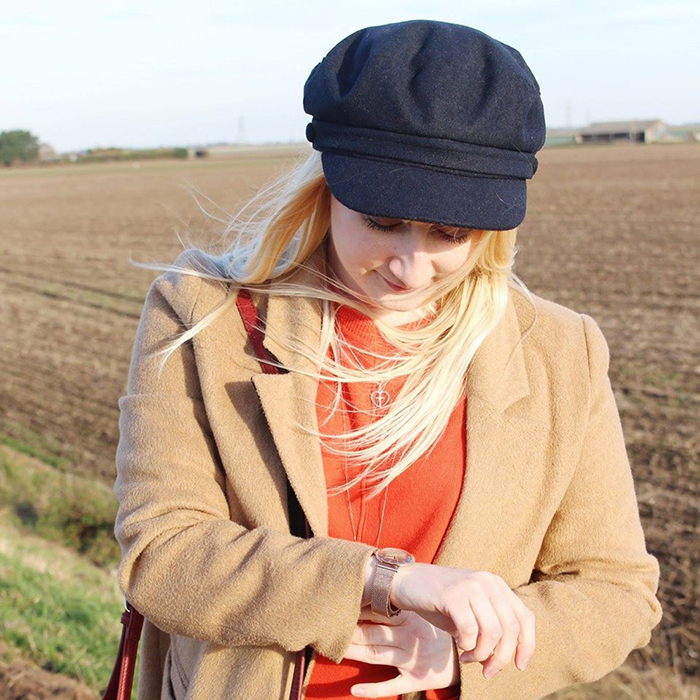 I’m so excited to do some October style photos for my blog. Also please let me know if you are taking part in #Blogtober? I decided not to participate in it this year, but I think I may do #Vlogmas this year instead! 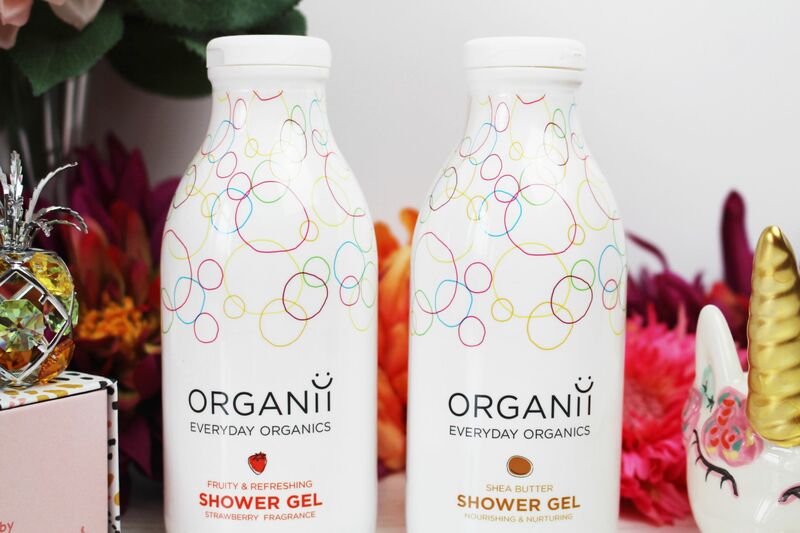 As I mentioned above today’s brand new post is all about Organii Everyday Organics. 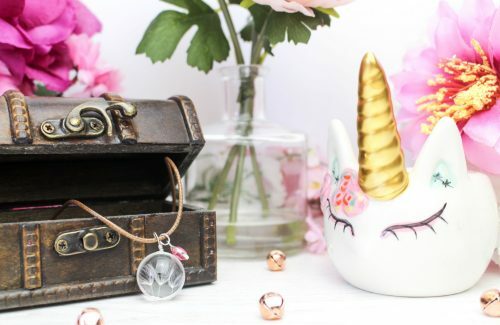 I was very kindly sent a couple of their products to use and review for Clem Loves. But as with all of my posts, I will only review products that I 110% love and know that you will love too. All reviews are my own honest thoughts and opinions. I was very kindly sent a couple of their gorgeous shower gels to try that are in the photos above and below. I decided to go for the strawberry shower gel and the shea butter shower gel, as those are two of my most favourite scents to use for body products. I just love strawberry scented products and shea butter. I would love to know what your favourites are? Please let me know in the comments. Having never tried any products by this brand before, I was very excited to. The packaging really caught my attention. I love the colourful design of the bottles. The shower gel itself, both have beautiful scents, you can really smell the strawberry and the shea butter. As soon as I applied some of the product on to my shower scrunchie, it lathers up super quick and I found that I only need to use a little of the product at a time. 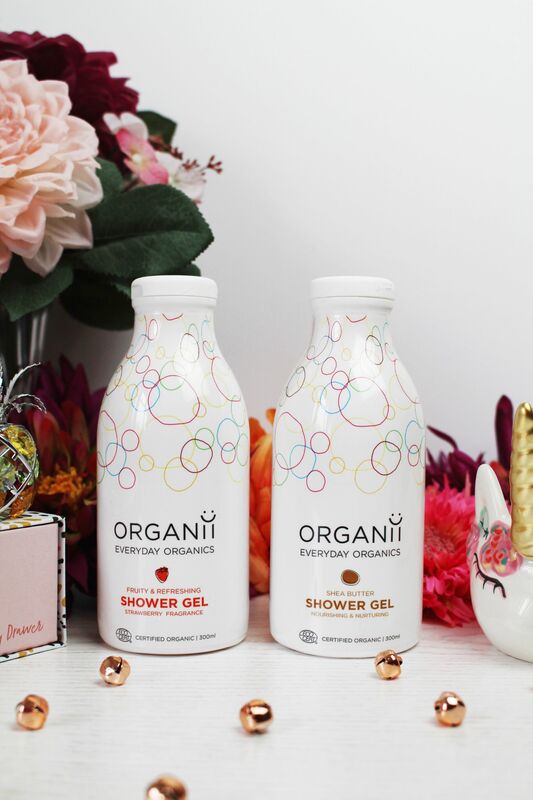 When applying to the skin, the scent of the shower gels fills the shower with that sweet smelling scent of strawberry and that gorgeous rich and creamy scent of shea butter. My skin is left smelling so good and leaves the skin feeling lovely and soft. They are an absolute joy to use and a bargain too. Each shower gel is £5.95 each, or you can get a pack of 2 for £11.90. For the amount of product you get and the fact that they are organic products, I feel that these are a great price. 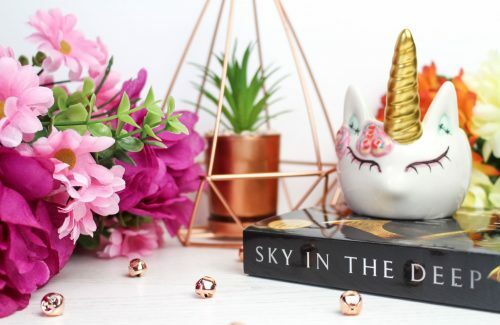 You can also get free delivery on all UK orders over £15! 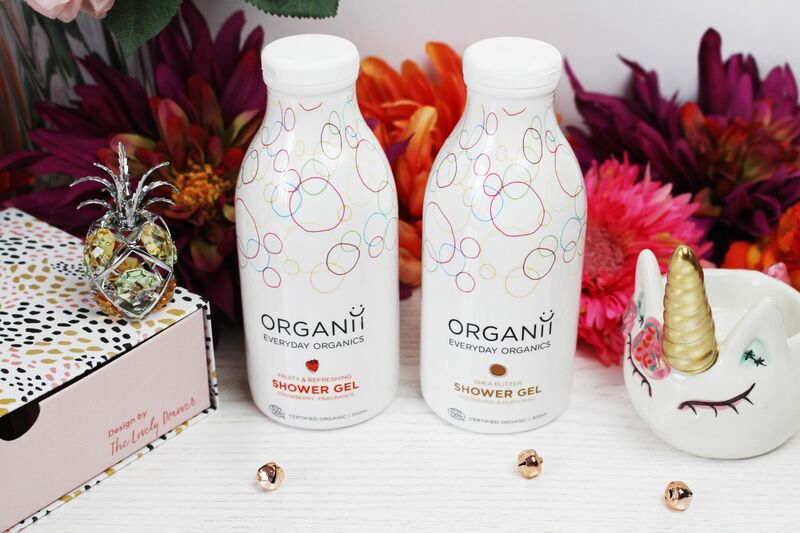 Have you tried any products by Organii before? If so which are your favourites? 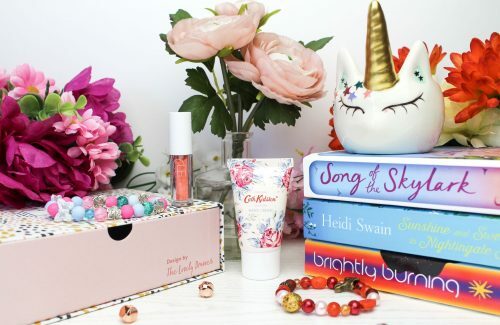 Or which of their products would you love to try? 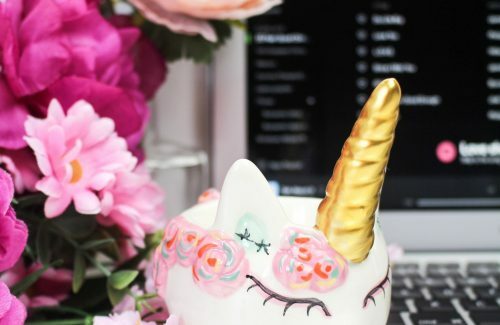 For more beauty related posts, click here.